Sunday, September 25th, 2016 at 8:31pm. 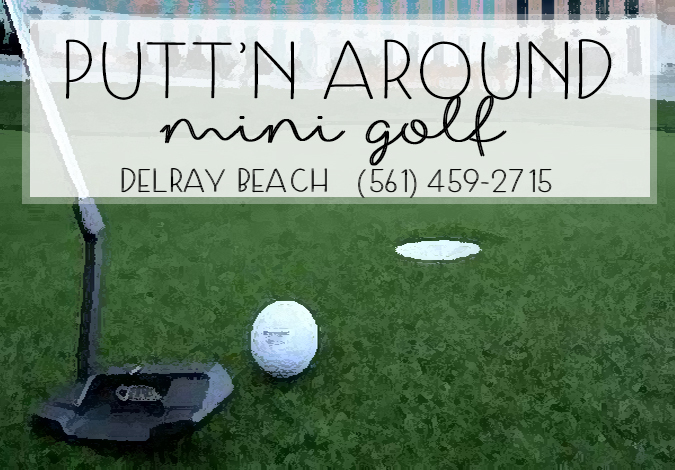 36 holes of fun and family friendly mini gold is calling your name at Putt’N Around in Delray Beach. You may have seen a small pink building surrounded by lush gardens off of South Federal Highway in Delray but did you ever think it could have been a mini golf course? Putt’N Around has been described as an “oasis in the city,” a place where you can get away from the hustle and bustle of work and the city and become a kid for a day. Kick back and relax as you play through the 36 fun holes of mini golf.